Can You Die From a Valium Overdose? Valium (diazepam) is a benzodiazepine medication usually prescribed to treat anxiety and related disorders. An overdose can occur if a person takes too much of the drug or combines it with other drugs. Overdoses can occur accidentally or intentionally.1 A person recovering from an overdose may benefit from further addiction treatment. Who Answers? to find a program to help you or your loved one stop using Valium. Breathing difficulties (slowed, labored, or completely stopped). Monitor the person’s condition and keep him or her awake. If you observe the symptoms of overdose in yourself or someone you know or suspect has been taking Valium, call 911 immediately. Continue to closely monitor the person’s condition (do not leave the person unattended). Keep the person awake and alert, if possible. Keep the person sitting up rather than lying down to avoid choking on vomit. Roll people who are unconscious on their side. Tolerance level (some people have lower tolerance and may be more susceptible to overdose). Relapsing after a period of withdrawal (people do not recognize that their tolerance levels have decreased, and they take their normal doses only to find they overdose because the dose is now too much). Activated charcoal to reduce absorption. Administration of fluids via IV. Medicine to reverse overdose (i.e., flumazenil, a benzodiazepine antagonist that can completely or partially reverse the sedating effects of Valium and other benzodiazepines). X-ray, EKG, and other diagnostic tests. Detox treatment for those who are physically dependent and experience withdrawal symptoms. Referrals to substance abuse treatment. Valium overdose has the potential to be fatal, particularly when combined with other drugs or alcohol. 2,3 Fortunately, many people recover. Brain damage from lack of oxygen, which can result in permanent disability. Muscle damage (from lying on a floor or other hard surface for a significant amount of time). Most people will recover from a Valium overdose if it is properly treated right away. Poor work or school performance and/or attendance. Behavioral issues due to substance abuse. Medically assisted detox: Because people can experience uncomfortable and, in some cases, dangerous withdrawal symptoms when they stop using Valium, it is sometimes best to detox off of the drug under medical supervision. This may mean slowly tapering off the drug under a doctor’s care. In severe cases, people may need to remain in a detox facility where they can be medically supervised, monitored, and assisted throughout the process. 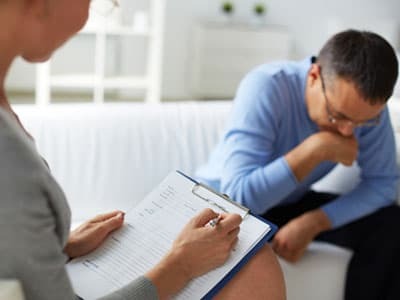 Individual or group counseling/therapy: Counseling or therapy can help people understand the underlying emotional and psychological causes for their drug addiction(s). Individual counseling offers people the opportunity to address these issues one-on-one with a counselor or therapist, whereas group counseling provides the added support and contrast of the group, which has enormous therapeutic value. 12-step programs and other support groups: Support groups provide people in recovery from a Valium overdose or addiction with a solid peer support system. The most common are 12-step programs such as Alcoholics Anonymous (AA) and Narcotics Anonymous (NA). These programs help people work toward recovery using a linear process. Meetings typically take place on a regular basis with people attending monthly, weekly, or biweekly. Those with severe addictions may choose to attend a meeting or support group on a daily basis. Inpatient rehabilitation: Inpatient or residential treatment centers provide people with around-the-clock care for a designated period of time. Most people stay an average of 28 to 30 days, but there are also programs of 60 days, 90 days, and 180 days in length. Inpatient Valium rehab typically consists of medically assisted detox, counseling, therapy, support groups, 12-step programs, and physician visits. Depending on the treatment facility, other options include art therapy, sports and recreation, and alternative therapies. Outpatient rehabilitation: Outpatient treatment centers typically offer the same types of treatment as inpatient, but treatment is delivered on an outpatient basis while the person continues to reside at home. This option may be the best choice for those with solid recovery support from family and friends and whose addictions are not as severe, as well as for people who want to continue to take care of personal and professional responsibilities while being treated. If you or someone you love is struggling with Valium addiction, you do not have to suffer alone. For assistance and support in finding an overdose recovery or addiction treatment center, contact us toll-free at 1-888-319-2606 Who Answers? .
. Heller, J. (2015). U.S. National Library of Medicine. Diazepam Overdose.
. Food and Drug Administration. (2008). Valium.
. National Highway Traffic Safety Administration. Drug and Human Performance Fact Sheets. Diazepam.